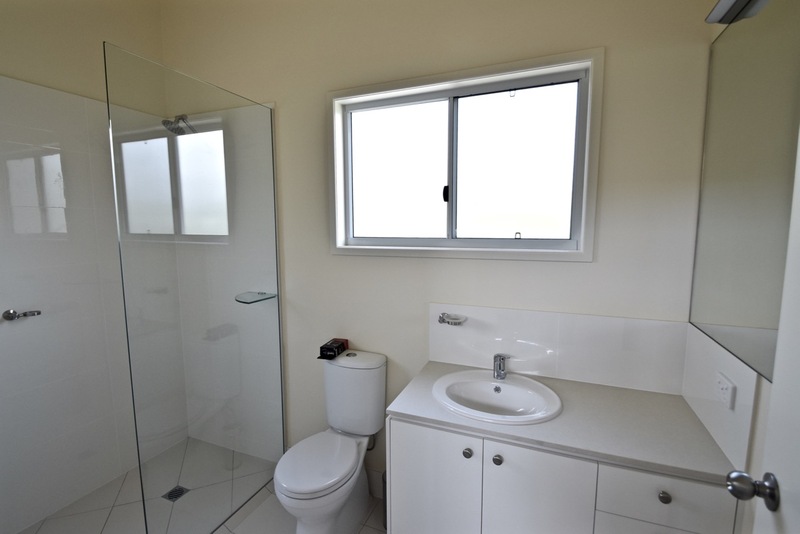 New 2 storey house mid village which is convenient to all amenities. 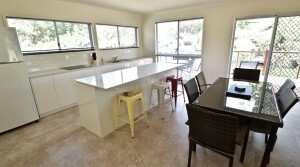 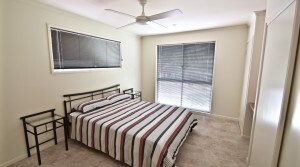 Bright, modern, comfortable and spacious with all modern facilities. 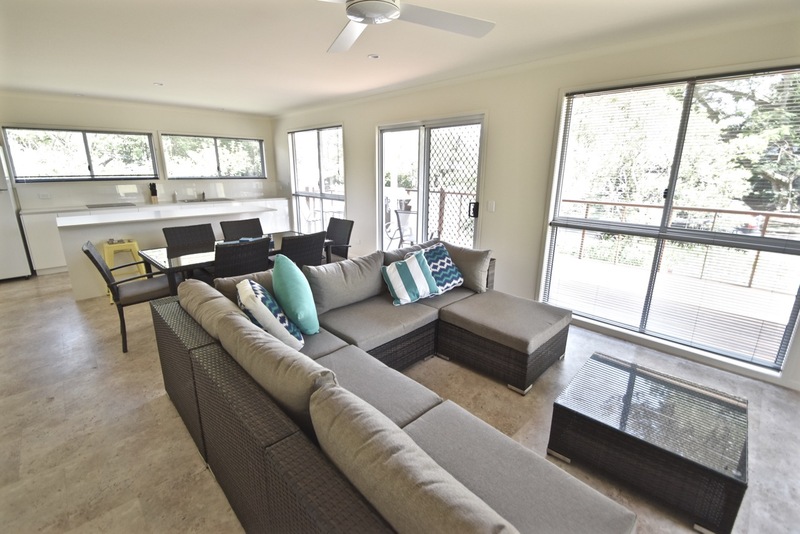 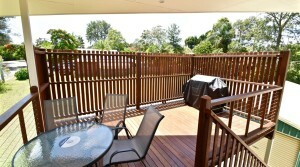 Lovely decks with breezes, bbq’s and great outlook. 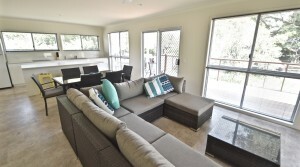 House is available as ‘whole’ house or individually as 2 separate and private units. 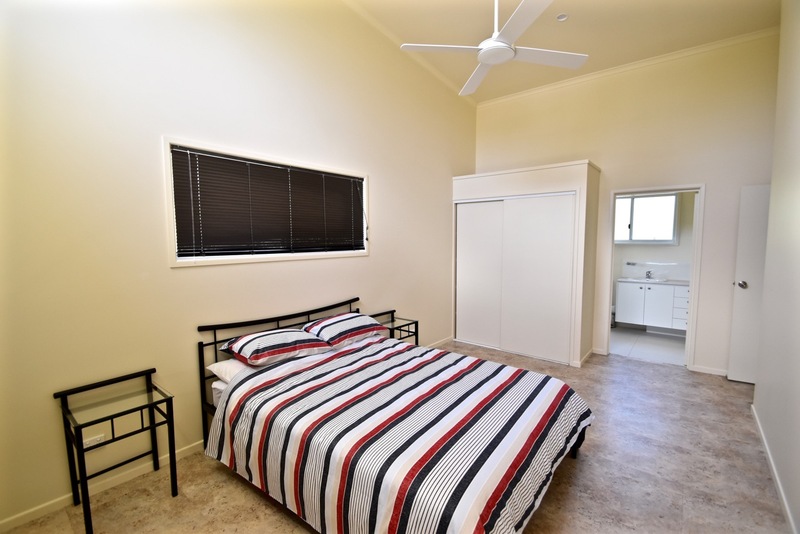 PLEASE NOTE UNTIL DECEMBER 2018 ONLY THE UPSTAIRS UNIT IS AVAILABLE – WHOLE OF HOUSE IS NOT AVAILABLE UNTIL 24TH DECEMBER AND SUBJECT TO AVAILABILITY AS PER THE CALENDAR. 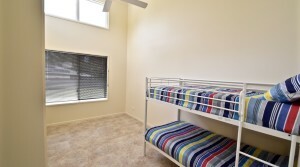 BEDROOMS – 4 – 2 x queen; 2 x twin. 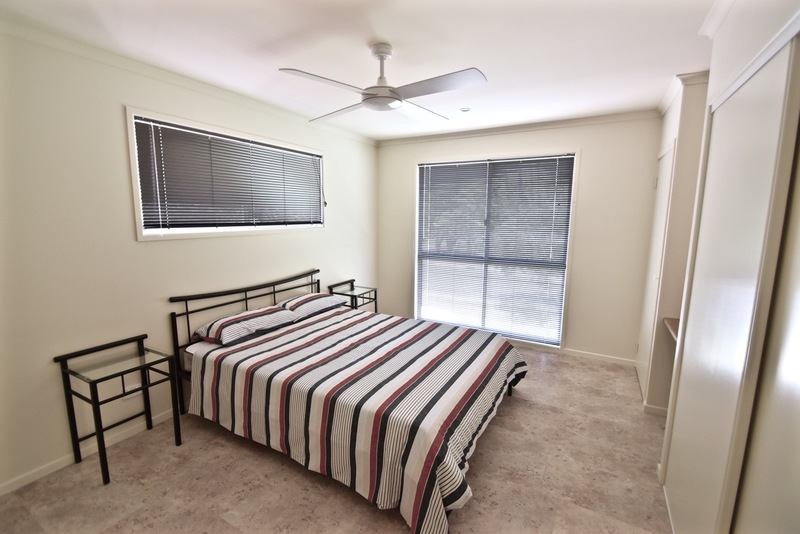 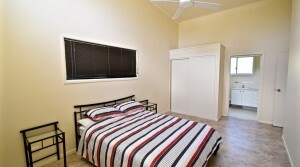 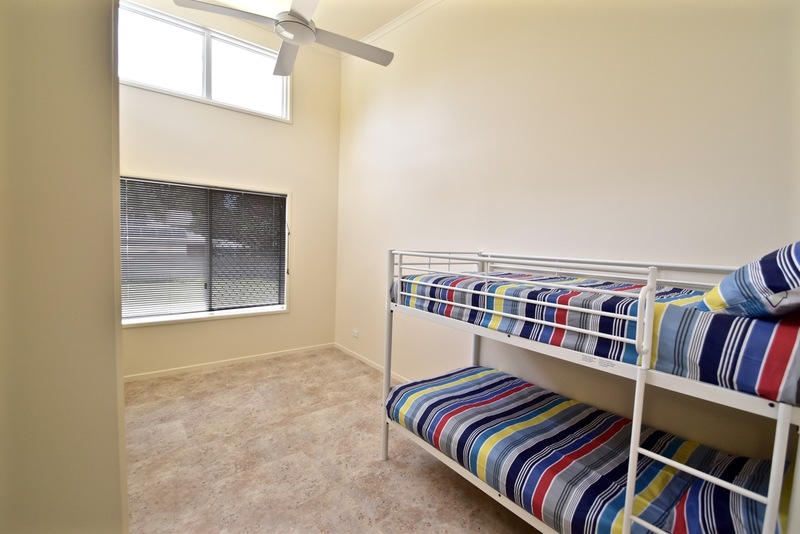 BEDROOMS – 2 IN EACH UNIT – 1 x queen; 1 x twin IN EACH. 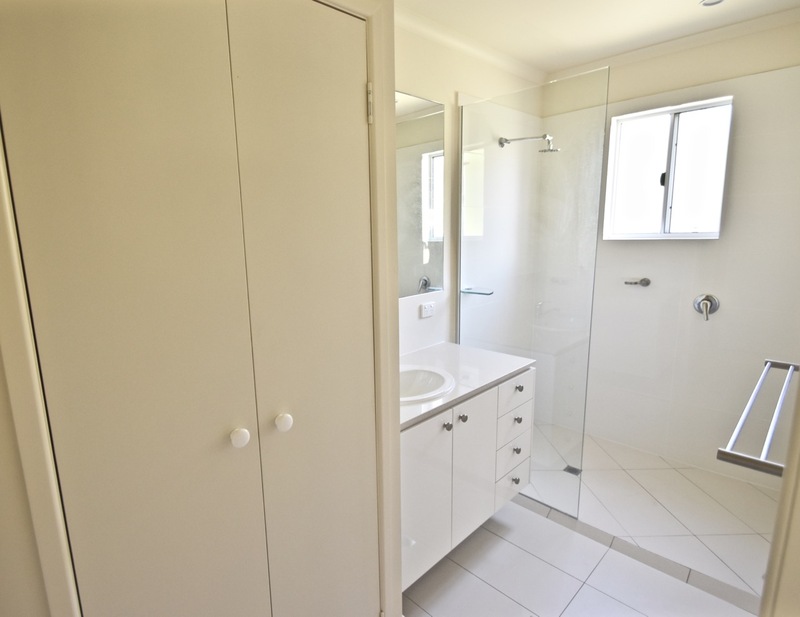 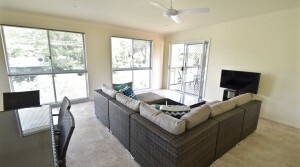 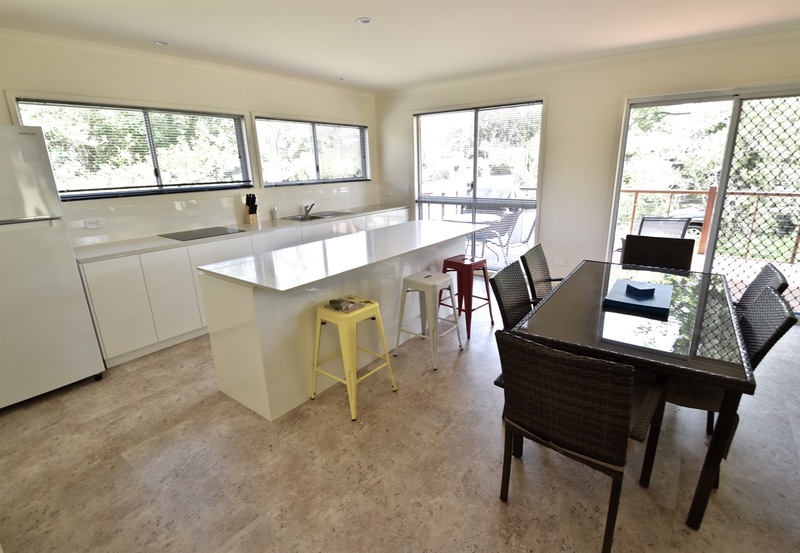 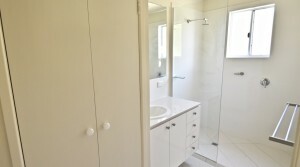 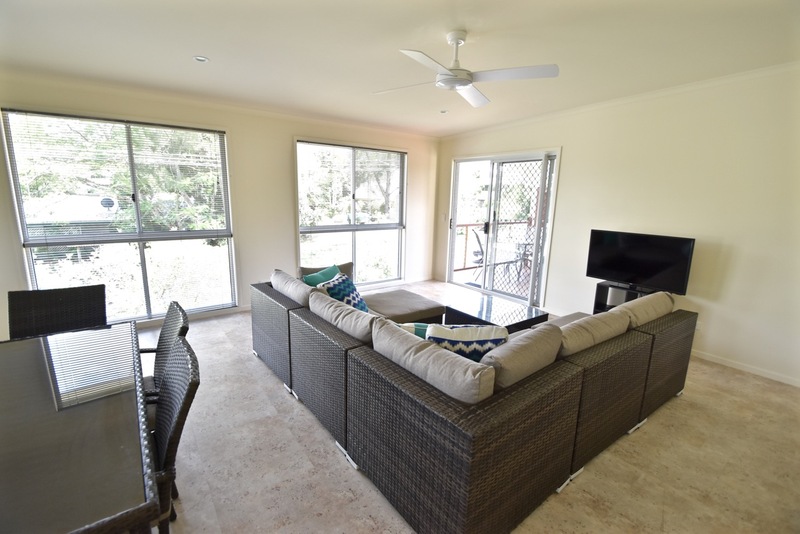 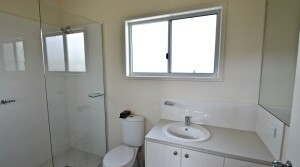 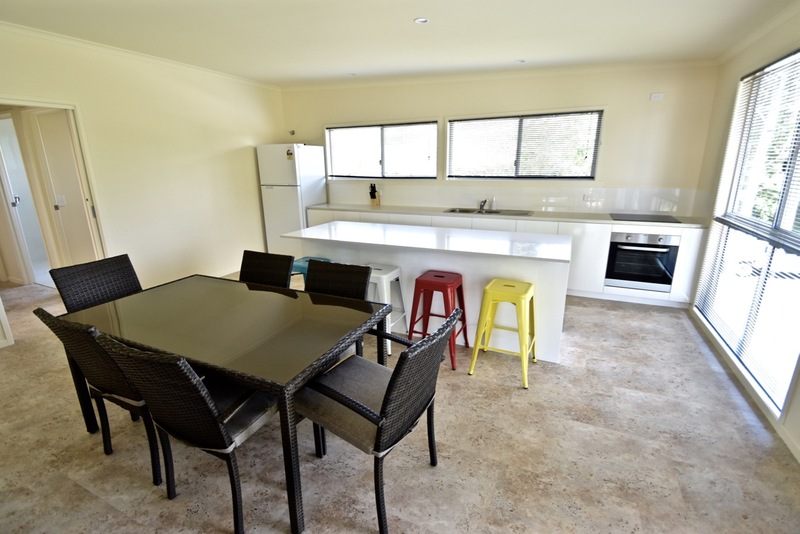 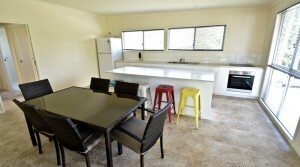 BATHS – 3 – 2 on upper level unit including an ensuite; 1 on lower level unit with separate toilet. 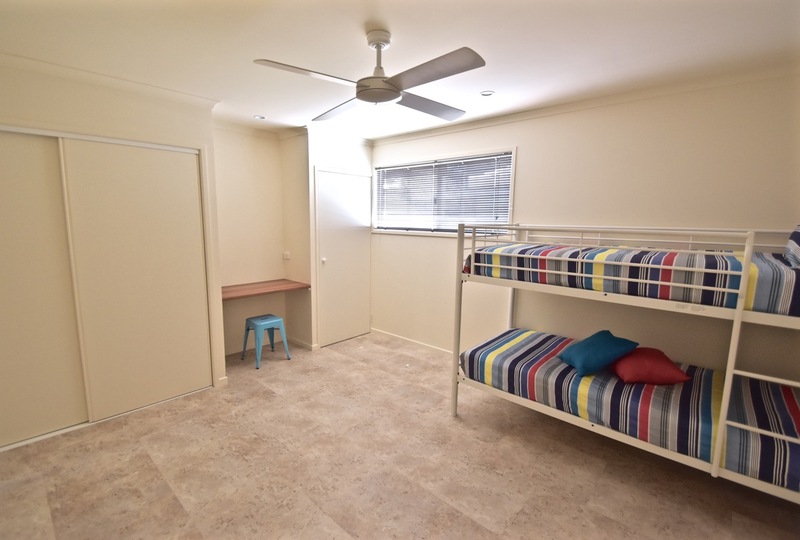 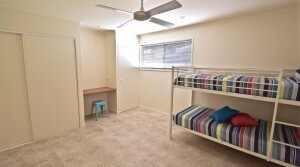 OTHER ROOMS – Ground floor has shared laundry facilites. 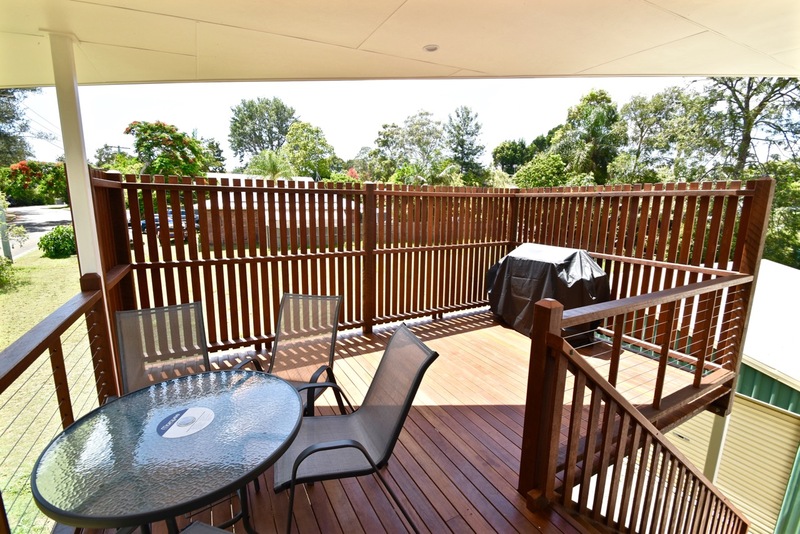 Upper level covered deck with BBQ; lower level covered front deck with BBQ. 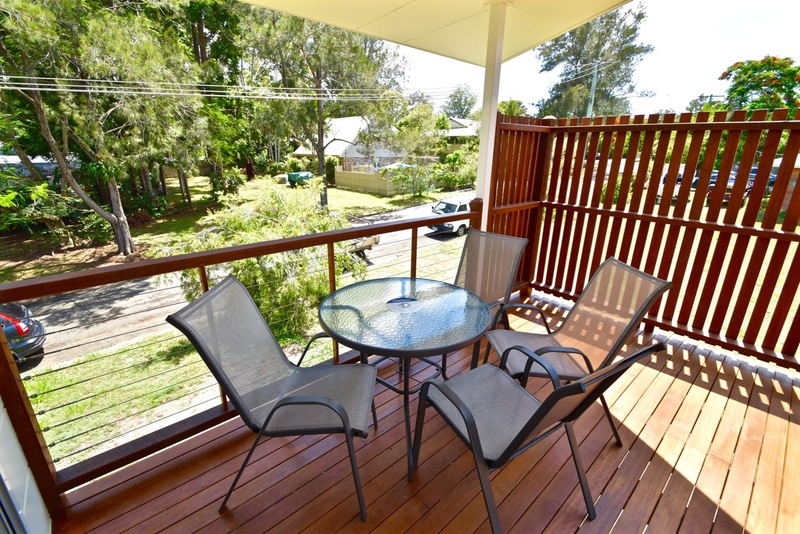 OUTSIDE – Off street car parking for 2 cars. 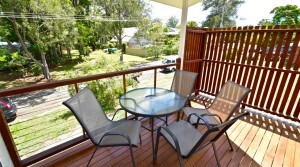 On street parking on 2 sides as is a corner block.